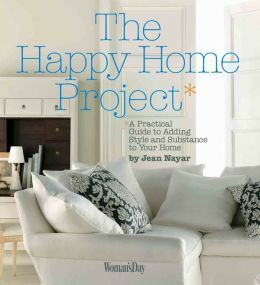 In The Happy Home Project, author Jean N ayar looks not only at the material things that contribute to the beauty and style of a house, but also explores the hidden elements and intangibles that add to its substance and soul. 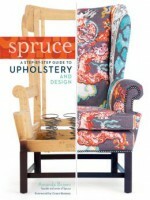 Brimming with beautiful photos and filled with expert advice from architects, designers, organizing experts, and contractors, the book offers easy-to-follow guidance on how to create inspiring, stylish rooms as well as practical tips on how to invest wisely in furniture and improvements that will add value to your home-and your quality of life. 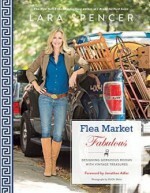 Focusing on comfort and harmony with nature, the book taps into the wisdom of poets, philosophers and social scientists-as well as experts of the ancient Asian building philosophies of feng shui, vastu shastra, and wabi-sabi-to reveal some of the subtler steps that anyone can take to turn to an ordinary, impersonal house into an uplifting, personal sanctuary. 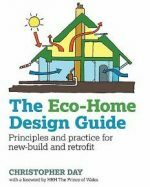 With helpful hints on everything from corralling clutter, picking paint and arranging furniture to refinishing floors, replacing windows and remodeling a kitchen, The Happy Home Project is a great go-to guide for home improvement projects, large and small. Whether your home needs a major makeover or just a little fine-tuning, the ideas, solutions and tips in this book will help you increase its happiness quotient-and let you live well in any dwelling and at any stage of life.